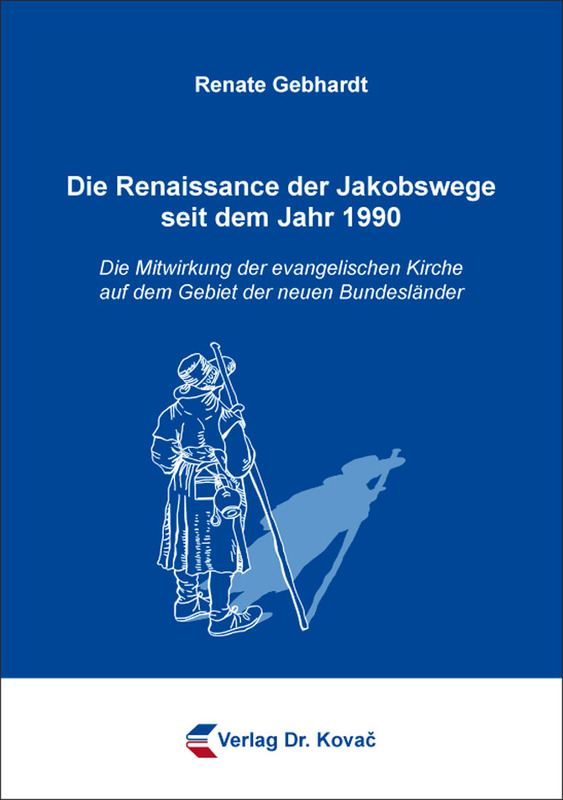 Die Renaissance der Jakobswege seit dem Jahr 1990. Dissertation (english) von Renate Gebhardt, Verlag Dr. Kovač 2019, 350 S.
This thesis evaluates the role of the Protestant church in the renaissance of the Camino de Santiago trails in the new eastern states of Germany. In recent years, pilgrimage has gained in popularity; many thousands of people start their journey on the Way of St. James each year, regardless of their personal circumstances. Europe, including Germany, is covered with a network of Camino trails. In the East German region, these trails almost exclusively lead through Protestant areas. Even though the principle of pilgrimage was rejected in Reformed Protestant theology, most of the Protestant churches in this region support the practice. This paper shows the diverse and different reasons that motivate these congregations to endorse and help organize pilgrimage. Some of the surveyed theologians recognized that the Protestant church is faced with the task of strengthening the role model function of saints, reinterpreting the idea of pilgrimage and rooting it in a modern theological context.